Justice Research Papers discuss the different definitions of the word with both legal and social systems. Throughout history, the term justice has been defined by both legal and social systems in an effort to direct the actions and beliefs of societies in general. Philosophers such as Aristotle, Plato, Kant and Rawls have developed “justice” theories to illustrate how a society and the individuals within that society should treat its members. Legal systems have formalized these beliefs in the form of written laws, while religious organizations have passed them down in the form of doctrines. To further confuse the issue, what the law defines as justice may very well conflict with religious definitions. And, what is believed to be “just” in one society may be perceived as the exact opposite in another. 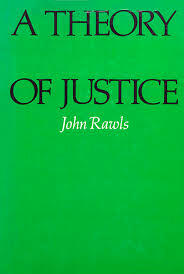 What the above means is that the term justice cannot be defined in such a way as to satisfy all of societies members. Instead justice must be intertwined with the socialization process before the word can actually have meaning to those who seek it. For most, the word justice centers on the implied promise of fairness and equality, without regard for race, gender, or social standing. We act in certain ways because we believe they are just and good, and avoid others because they are not. Yet the concepts of just and good are subjective; they have more to do with the way we were raised than with what is written in law. For instance, while one person may view a reduction in public assistance as justice in that every individual must earn his keep, another individual may see the action as highly unjust in that it hurts those who are already on a downhill slide. Here the meaning of justice cannot be found in a dictionary or ethics book, but only in the minds of those pondering the issue. Another example of why justice cannot be defined strictly by law or the written word is found in the American criminal justice system. If justice truly meant equality and fairness to all, we would see that reflected in the statistical data. Yet according to the U.S. Department of Justices own records, there is a large gap in the sentences of whites and blacks convicted of the same offense. For instance, blacks convicted of murder were sentenced to an average of 248 – 277 months in prison in 1992, compared to the average sentence of 231 – 242 months for whites. For drug trafficking, blacks were sentenced to 78 – 79 months, whites to only 61 – 68 months. If the definition of justice means fairness as the dictionary claims, where then, is the justice in these numbers? The answer can only lie in the fact that judges use their own subjective sense of right and wrong when handing down sentences rather than relying solely on their law books. Paper Masters writes custom research papers on Justice and discuss the different definitions of the word with both legal and social systems.